Susan Kovarovicsis co-leader of the International Trade Client Service Group. She has more than 20 years of experience providing practical solutions to legal and compliance issues. 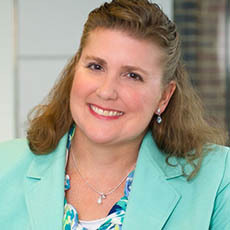 Susan counsels U.S. and non-U.S. private and publicly held companies in a variety of industries, including aerospace, agribusiness, consumer electronics, defense, healthcare, higher education, manufacturing and national security. Her practice has a specific focus on matters involving the International Traffic in Arms Regulations (ITAR), the Export Administration Regulations (EAR), sanctions administered by the Office of Foreign Assets Control (OFAC), U.S. anti-boycott laws, and the Foreign Corrupt Practices Act (FCPA). Susan leverages this specialized experience to play a vital role in M&A transactions, helping her clients conduct due diligence and evaluate risk related to export and sanctions compliance, anti-boycott, and anti-corruption matters.